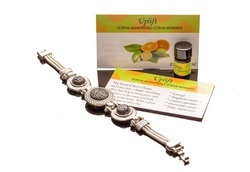 The origin and meaning of the Aum (Om): Om is a Hindu sacred sound that is considered the greatest of all mantras. The syllable Om is composed of the three sounds a-u-m and the symbol's threefold nature is central to its meaning. Great gift for all who practice Yoga. 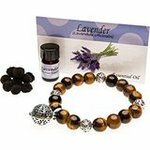 Some come with Aromatherapy oil diffuser ball, cotton balls and lavender oil. black, brown, purple, coral and dark blue. apply oils to Lava Stones for Aromatherapy. Camouflage, grapefruit, blue, red and black. Affiliate Disclaimer: I will at times suggest products through affiliate links for which I may be paid a commission if you make a purchase.